Drake's heading out on massive North American tour with Migos! Why See Drake with Migos? Dates have been rescheduled for selected performances. 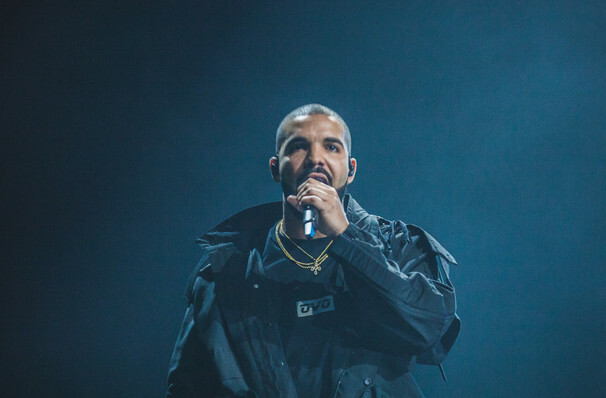 Drake's been storming the charts with hits including 'Gods Plan' and 'Nice For What', and now the highly anticipated album Scorpion has been announced along with a North American tour with features rap trio Migos! 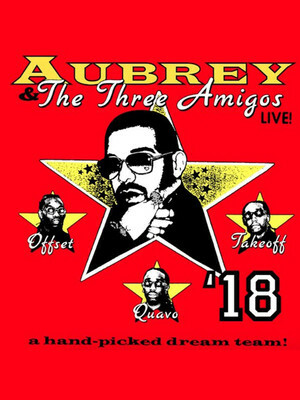 'Aubrey and the Three Amigos tour' will be in support of his forthcoming album and spans across 40 dates. If you're wishin' on Drake, then make sure you don't miss out on this superstar in his prime. From his humble beginnings as a Soap Star on the popular Canadian TV show Degrassi, Drake reinvented himself as a rapper/pop phenomenon from the moment he released his first mix tape in 2006. He's gone from strength to strength ever since, earning platinum-selling singles and albums, a Grammy and many more awards. Adept at wrapping his hip-hop hooks around dance-floor filling anthems, Drake is a consummate performer - both the rakish showman when getting the crowd whipped into a frenzy and the sincere romantic when he croons sweetly during his trademark ballads. Hip hop trio Migos, known by their stage names Quavo, Offset and Take Off, grace the Billboard Hot 100 Chart regularly with 2017s track 'Stir Fry' peaking at #8 and 2016s 'Bad and Boujee' (which featured Lil Uzi Vert) taking the top spot at #1! Their most recent hit, with touring partner Drake, 'Walk It Talk It' peak at #10. January 2018 saw the release of their most recent album, Culture II, which earned the group their second #1 album in the United States. This is a once in a lifetime experience for both Drake and Migos fans - so what are you waiting for? Sound good to you? Share this page on social media and let your friends know about Drake with Migos at Toyota Center. Please note: The term Toyota Center and/or Drake with Migos as well as all associated graphics, logos, and/or other trademarks, tradenames or copyrights are the property of the Toyota Center and/or Drake with Migos and are used herein for factual descriptive purposes only. We are in no way associated with or authorized by the Toyota Center and/or Drake with Migos and neither that entity nor any of its affiliates have licensed or endorsed us to sell tickets, goods and or services in conjunction with their events.